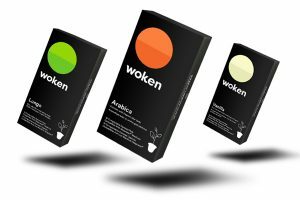 Wicked Joe Organic Coffees, the family-owned, 100% organic certified, Fair Trade coffee roastery known for its single origin varietals and blends such as Wicked French, has introduced new, modern packaging. The packaging previously featured a black bag with a red and green coffee cup logo. Wicked Joe Organic Coffees now sports a cleaner, more contemporary look, including black and chrome brand elements and an array of accent colors indicating the individual blend, flavour or bean’s origin. The 12-year old company, based in Topsham, Maine, has grown and refined its operations significantly over the last decade, including increasing sales by 25% and growing capacity by 67% in 2016 alone. 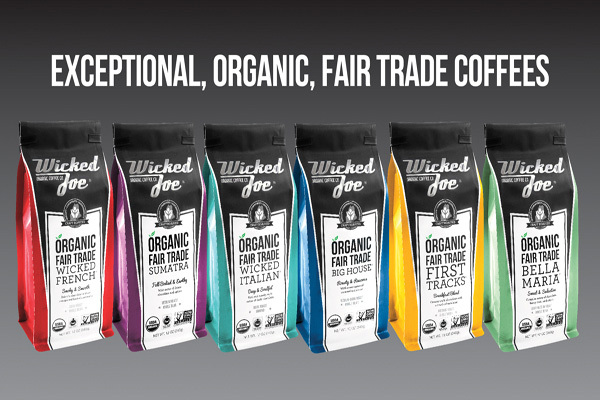 The Wicked Joe product line is available at retail stores throughout New England and in more than 1,500 grocery retailers nationwide as well as online. The colorful, lively nature of the new bags aims to stand out on retail shelves among dozens of competitors. Along with their ever-growing team of coffee experts, the Garvers have spent more than two decades – long before the Maine roastery opened – travelling the world in search of the highest quality coffee bean. 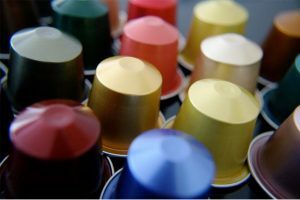 From the beginning, Wicked Joe has focused on quality, in addition to their commitment to community, farmers and the cooperative partners at origin. Wicked Joe’s new packaging is available in stores now. Visit www.wickedjoe.com for more information.